Bridgeport Ranch Barns & Terrace is a unique, seasonal, outdoor event venue. 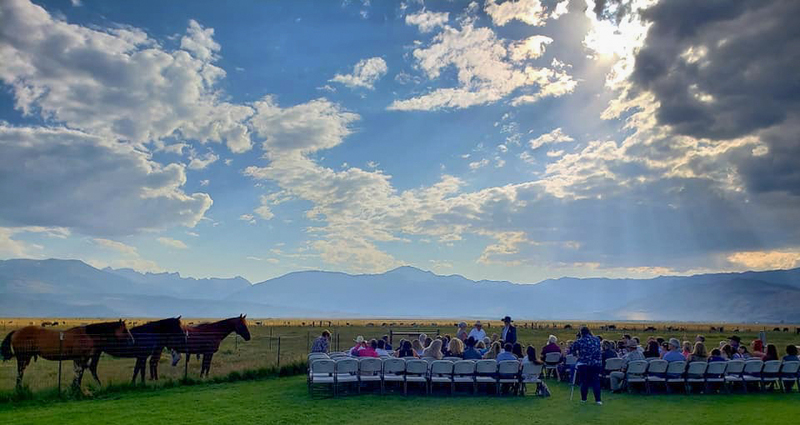 Located in the heart of the scenic and historic valley of Bridgeport, California, your special event will have the panoramic view of the meadows and Eastern Sierra Mountains. Within an hour drive of Yosemite National Park, and 2 hours of South Lake Tahoe, Bridgeport is easily accessible via Highway 395.